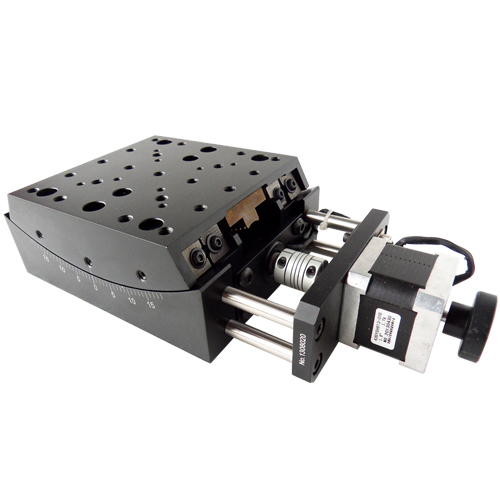 Precision ground worm gear provides high resolution. 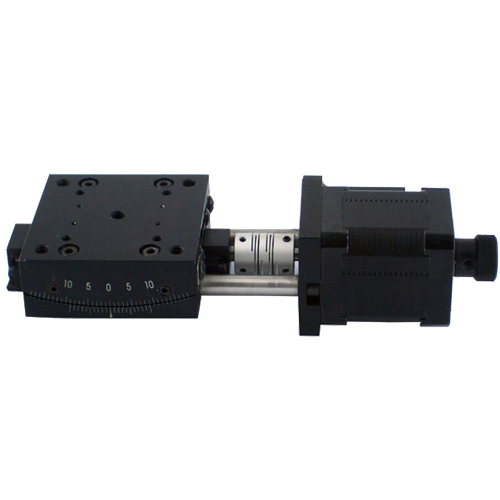 Precision machined ball bearing races assure smooth motion and high stability. 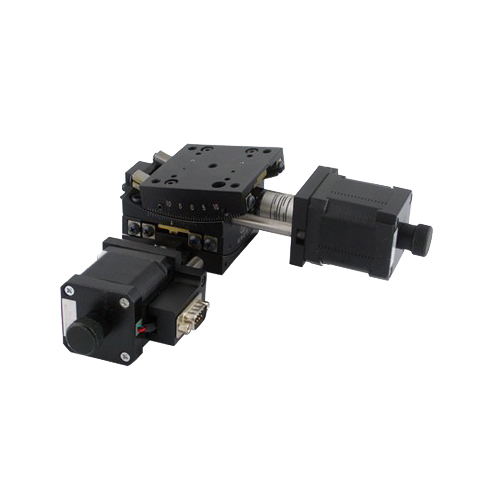 NEMA 17 stepper motor drive and DB9 interface. 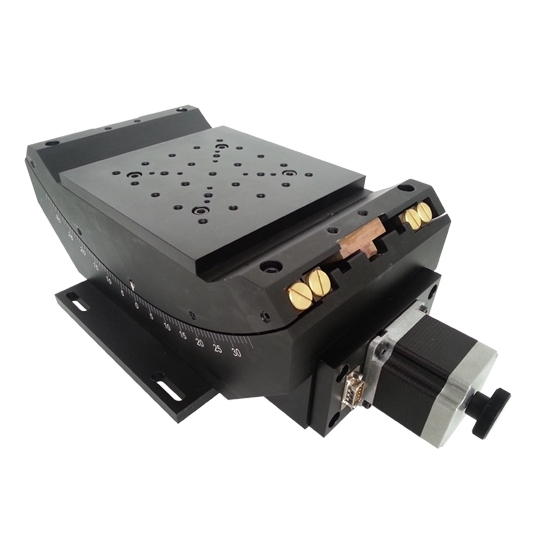 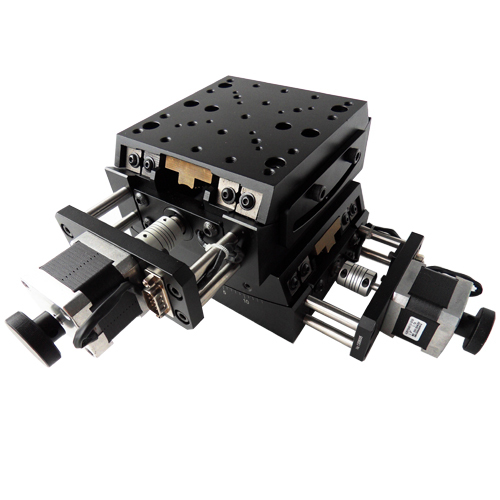 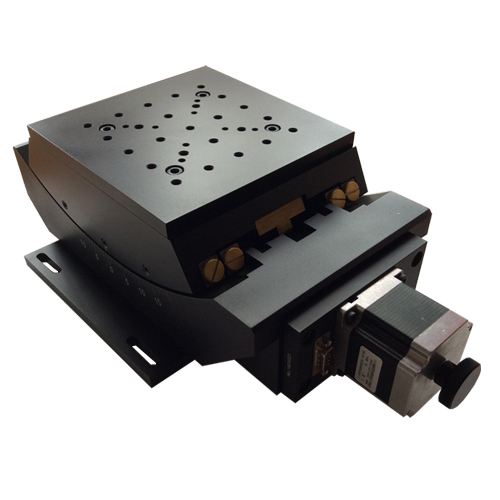 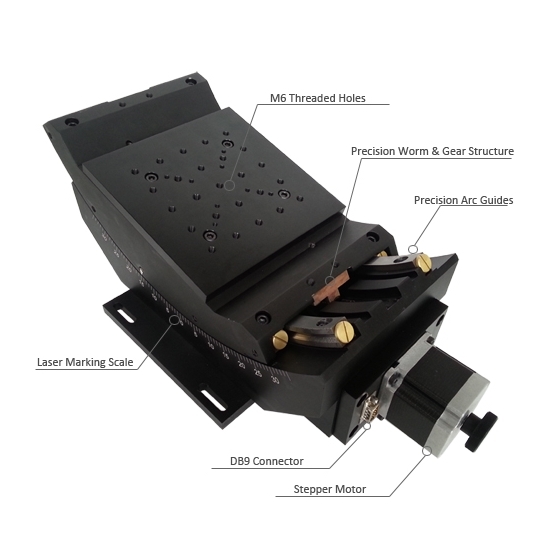 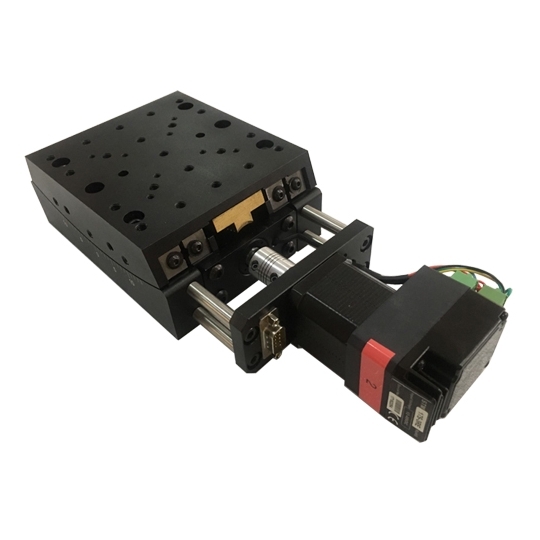 Our motorized goniometer stage is designed so that orthogonal mounting of two adjacent-size cradles (e.g., MOG-120-15 and MOG-130-10) provides two perpendicular rotational axes intersecting at about the same point in space. Precision rotation is ensured by a precision ground, hardened worm gear drive. 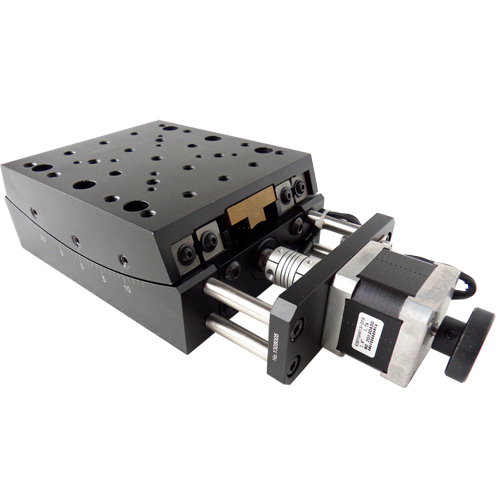 Single row ball bearings and precision ground tool-steel races ensure smooth rotation with minimal wobble and eccentricity.